From the moment SeaWorld’s O Wondrous Night commenced, my kids and I were captivated by the beauty of this brand new holiday show. 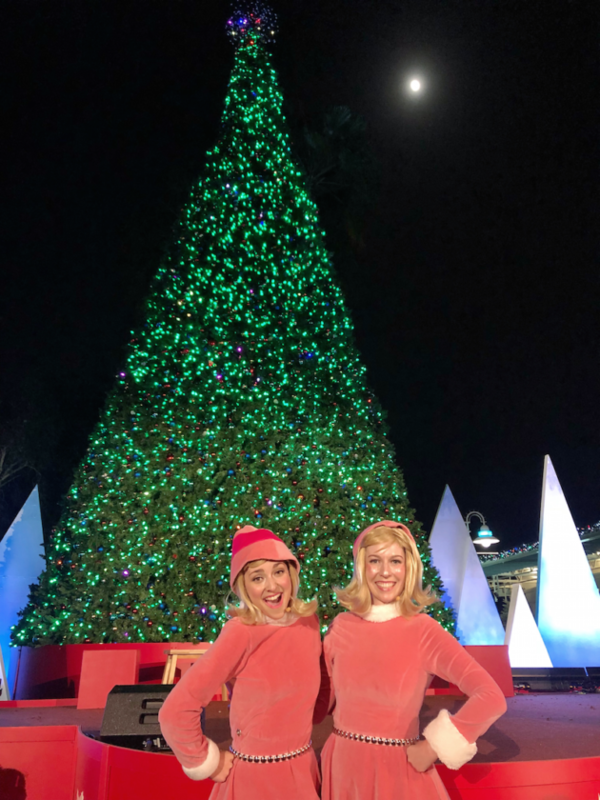 The musical recently debuted as part of the park’s holiday celebration, and tells the Christmas story through music, dance, puppets, and live animals. After the show, my son excitedly proclaimed, “now that is what Christmas is really about.” In a time where the true meaning of Christmas is often overshadowed by shopping, Santa, Christmas trees, and presents comes a show that will compel families to pause for a moment to reflect on the reason for the season. O Wondrous Night is a beautiful show celebrating the true meaning of the season during Christmas at SeaWorld. Consideration provided by SeaWorld San Diego. As you walk into SeaWorld San Diego, you’re immediately greeted by a beautiful, aquatic-inspired Christmas tree that welcomes you into this winter wonderland. Bundled up in jackets and boots with a cup of hot cocoa, it finally felt like Christmas. While we are no strangers to the park, opening night of O Wondrous Night was the first time we had visited SeaWorld during Christmas. The park has come alive this season with an array of festive activities including visits with Santa and his reindeer, festive food and drinks, shopping, and more. Enjoy Breakfast With Orcas and Santa: This unique, holiday experience includes an intimate breakfast with Santa and a unique opportunity to learn about SeaWorld’s killer whales. After enjoying a breakfast buffet of eggs, bacon, potatoes, oatmeal, and more, Santa Claus will greet families for photo opps. The park’s behaviorists will also provide insight on what makes these killer whales so unique. Advance reservations are advised. Be Amused By Clyde and Seamore’s Christmas Special: Kids will love this hilarious parody of a nighttime television Christmas Special. Join Clyde, Seamore, and OP Otter as they inspire holiday cheer this season. Be Mesmerized By Dolphin Island Christmas: This special holiday experience will showcase the playful spirit of dolphins and pilot whales with a tropical twist. Performances are offered during the day and include athletic feats by these majestic mammas. Meet the “Most Famous Reindeer of All”: Did you know that SeaWorld San Diego is the only theme park on the West Coast where you can meet Rudolph? Meet “the most famous reindeer of all” and his friends at Rudolph’s Christmastown this season. While here, be sure to meet Bumble, and Yukon Cornelius, then return at night for the lighting of the Happiest Christmas Tree. Take a Photo With Santa: Visit Santa’s Christmas Village to share your holiday wishes with Santa, then take a photo to commemorate your visit. 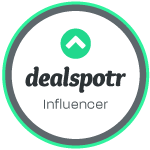 You can skip the lines by reserving Priority or VIP access (fee required). After your visit, enjoy a story by Mrs. Claus and meet live reindeer from Santa’s workshop. Find the Perfect Gift: Shop for a variety of festive gifts including nutcrackers, ornaments, apparel and more at the Christmas Shoppe in Santa’s Village. 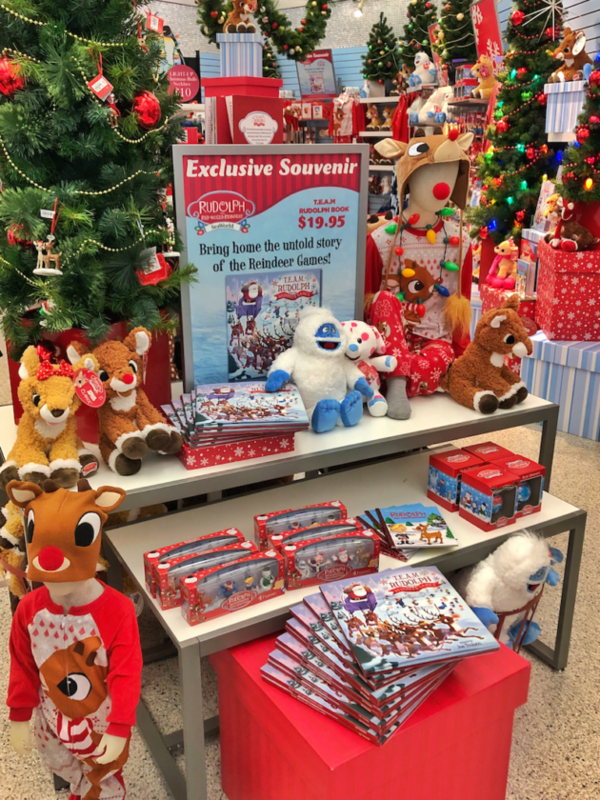 You can also shop for Rudolph-inspired gifts such as books, plush, ornaments, and accessories at the Holly Jolly Marketplace. Gnosh on Festive Eat and Treats: Enjoy a variety of delectable treats this season at SeaWorld San Diego. Rudolph’s Christmastown will offer Chipotle Chicken Sausage Sandwiches, Mashed Potato Pizza, Cranberry Arugula Pizza, Holiday Mac & Cheese (with bacon and sweet potato), and Christmastown Mac & Cheese (with chipotle turkey and a cornbread crumble). 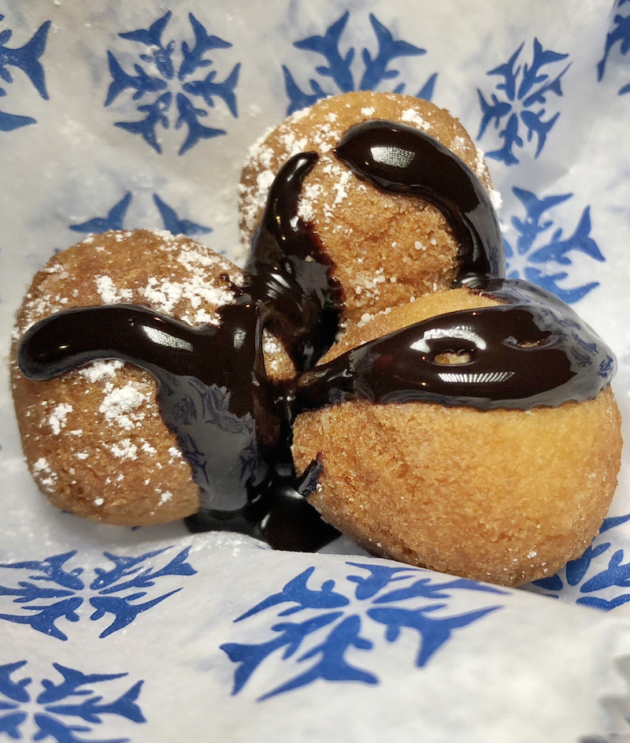 Santa’s Christmas Village will offer Red Velvet Ice Cream Sandwiches, Bacon Cinnamon Rolls, Donut Holes, and more. 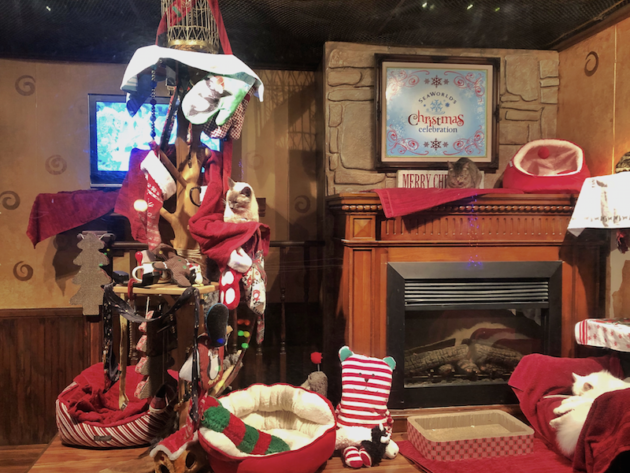 Visit Cat’s Christmas Parlor: Outside Nautilus Amphitheater, families can see the feline stars of Pets Rule! as they lounge in their holiday-themed houses. 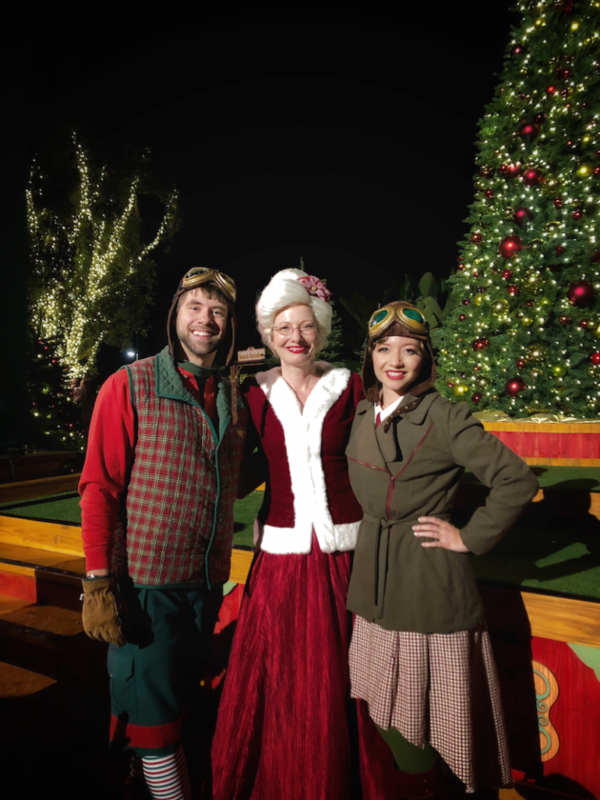 Take a Festive Family Photo: With more than one million holiday lights, 5,000 feet of garland, and hundreds of Christmas trees (including the largest Christmas tree in Southern California), there are endless photo opps at SeaWorld. Stop for a moment to remember this season and capture it share with friends and family. 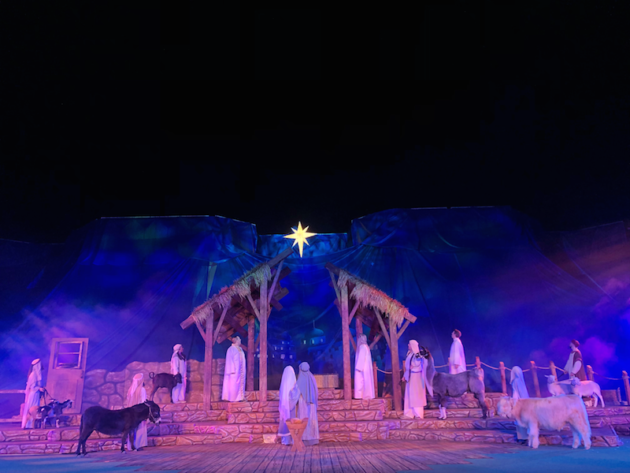 Celebrate the Reason for the Season With O Wondrous Night: SeaWorld’s new nativity show was inspired by the original story of Christmas. Told from the perspective of the animals, the park brings the greatest story ever told to life on-stage at the Nautilus Amphitheater. O Wondrous Night includes 30 carols you can sing-a-long with, storytelling puppets, and live animals including camels, donkey, llamas, sheep, and doves. 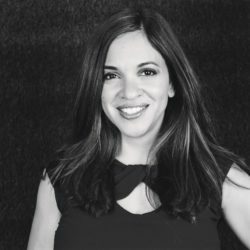 The musical is filled with humor and delicately told with heart and reverence. Our family walked away touched by this gentle reminder of why we celebrate Christmas. The following holiday upgrades are available during Christmas at SeaWorld for an additional fee. Note that some experiences require advanced reservations. 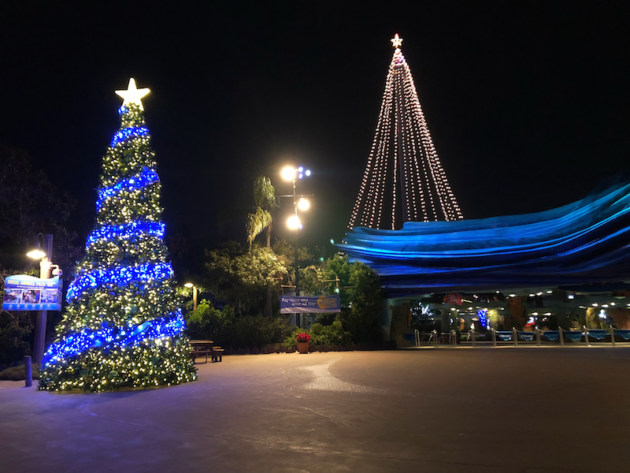 Christmas at SeaWorld runs November 17, 2018 through January 6, 2019. All festivities (excluding arcade games and reserved experiences) are included with park admission. You might consider purchasing a SoCal Annual Pass to enjoy a year at SeaWorld San Diego for $95.88.